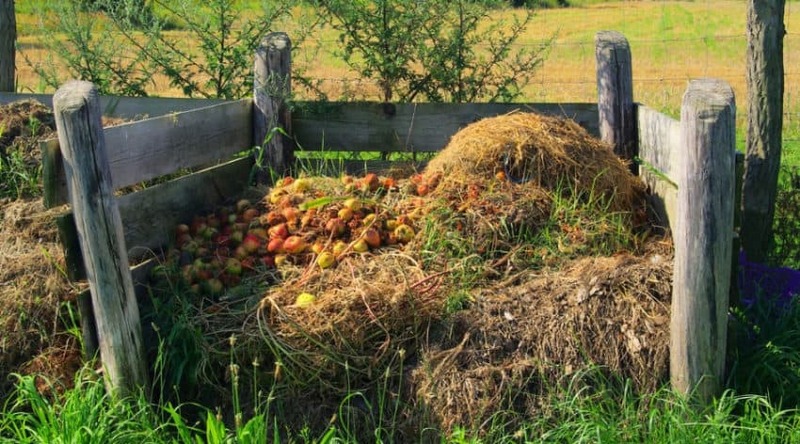 If you own any fruit trees, or are considering planting some, you need to be aware that they will require yearly maintenance for both tree structure and fruit production. 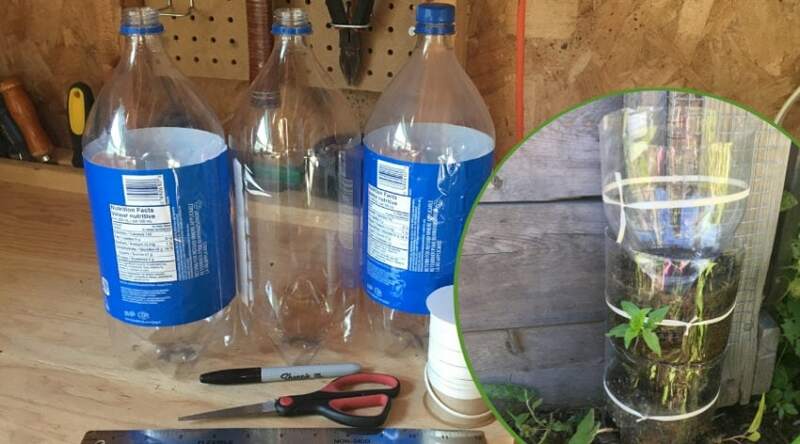 This care should begin immediately upon planting, and continue through the life of the tree. You shouldn’t become overwhelmed by the thought however. 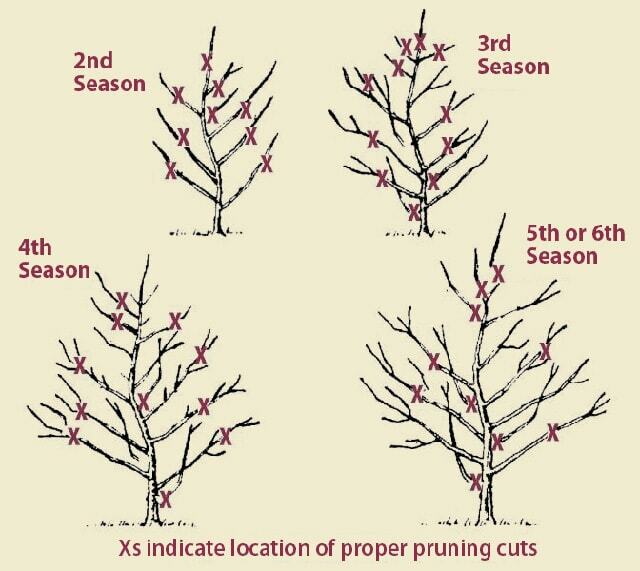 Yearly pruning doesn’t take much time at all, and the more consistent you are with it, the less time you spend each year. Plus it is so worth having a great crop of fruit! When I first moved onto a new property I was overjoyed to discover a young, non-producing peach that had been left to its own devices for the first few years. Simple trimming to train the tree shape the first year resulted in a small, but incredibly healthy crop, and after learning more about pruning applications- I harvested almost 100 pounds of fruit the following season! 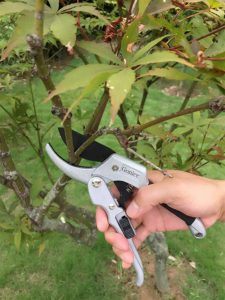 I prefer to trim my trees in the late spring, but am here today to share with you some basic pruning techniques that you can apply to your established trees to ensure healthy new growth and a good seasonal crop. 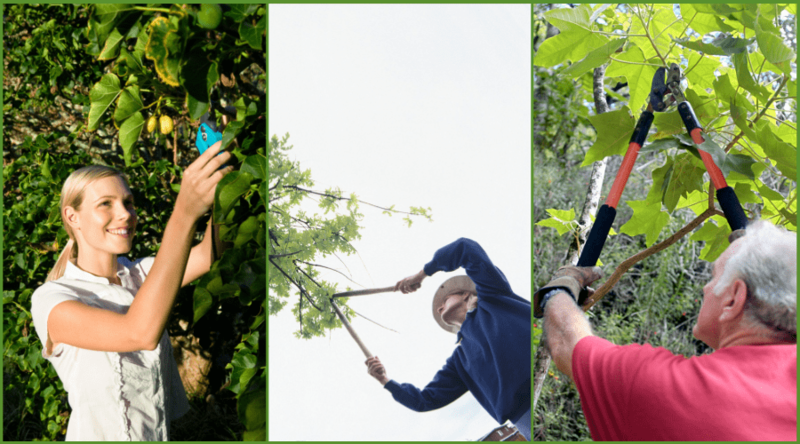 Before you begin, consider reading Benefits of Pruning Fruit Trees to determine your specific needs. Before you begin any cuts, you’ll want to go in prepared with a few simple tools, and a good plan concerning your approach to the entire business. The reason I prefer to trim in late spring is due to the fact that the leaves have not begun to make an appearance yet, and I can better see the branching structure to plan the trimming. 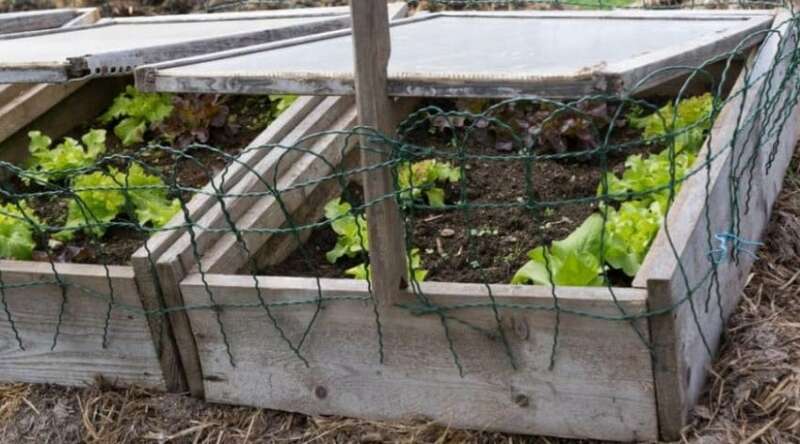 A plan concerning which branches to cut, or something similar, is definitely a consideration you will want to ponder in advance. I took a picture of my tree with my phone, printed it, and marked out approximately what I wanted to be left after the trim since my tree had been so unruly. You can also easily mark which branches you want to initially cut if your tree isn’t quite so out of control. Planning can honestly be as simple as making sure you look over the tree and planning a cut before you make each, and then stepping back to consider the next approach. Overcutting generally doesn’t have any long term lasting effects, but is best avoided if possible. Suckers are those incredibly annoying branches that grow from your main trunk. 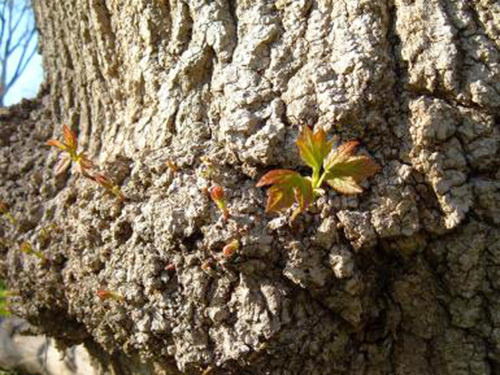 Usually they start right at ground level from a graft (a graft is where one species is grown onto a hardier root variety), but occasionally they can be further up the trunk as well. Suckers steal the nutrients from the roots as it moves up the cambium before it can reach your main branches. This is problematic for more than one reason. For starters, this will inhibit main canopy growth, and it also will result in weakened or small fruits. Approach your tree first with an eye to remove any obviously dead, dying, or decaying branches. This also includes any broken branches, which should be trimmed back to the next lateral branch. A lateral branch are those secondary growth branches that emerge from primary scaffolding branches. This step can truly be done at any time of year, especially since ailing limbs are more obvious during periods of growth. Crossed branches tend to rub together, or eventually produce lateral branches that weave into one another. 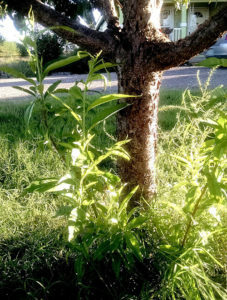 This causes a closed canopy, allows less light into the center of the tree, and can cause damage that introduces in diseases and welcomes insects. Approach your tree first with an eye to remove any obviously dead, dying, or decaying branches. This also includes any broken branches, which should be trimmed back to the next lateral branch. 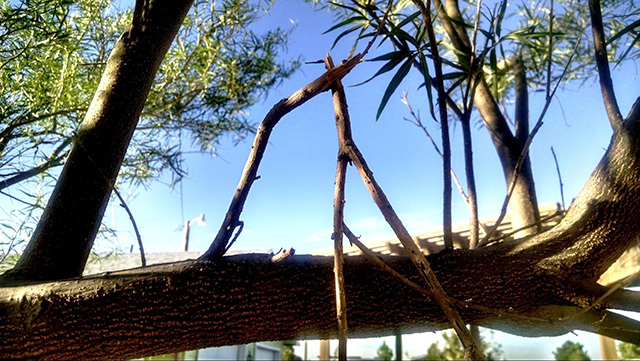 A lateral branch are those secondary growth branches that emerge from primary scaffolding branches. This step can truly be done at any time of year, especially since ailing limbs are more obvious during periods of growth. 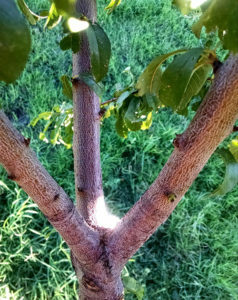 You want your branches to be strong enough to bear ripened fruit, and to achieve this you’ll need to pay attention to the angle of the lateral branches where they meet the stem. Branches that are too high (greater than 60 degree) run a similar risk in that they taper towards the ends and cen become weighed down without the supportive flex from the branch. 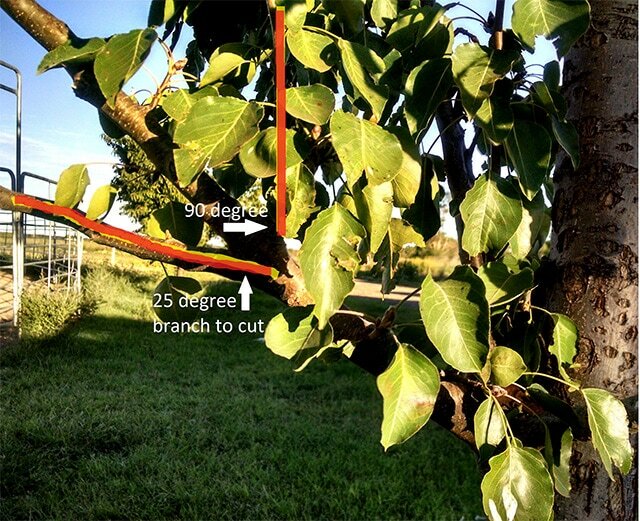 Branches that are of too low an angle (below 45 degrees) risk being pulled further downwards with both fruit and winter weather, providing further opportunity for breakage. These branches don’t produce as much fruit either since they often cannot receive enough sunlight to proper growth and ripening. 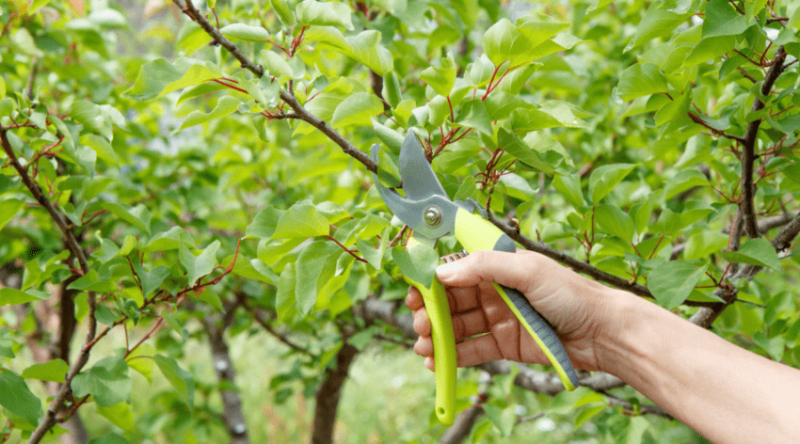 If you want to keep your fruit tree of a manageable height, then consider keeping branches trimmed back one-third each season. This is simple enough to plan and execute with a good eye towards not removing too much at any one time. Be sure to make cuts to lateral branches. Waterspouts are those annoying upwards reaching thin branches that grow from the main branches. They serve no purpose other than to create more foliage for nutrients, and block the sun from your fruit producing branches. These can be pruned off year round as they begin to grow to keep the canopy open and light reaching where you need it the most. It truly doesn’t take much to tame your unruly tree back into fruit bearing shape. Remember, the earlier you start with your tree the easier each subsequent year is, and the more adapt at it you become. 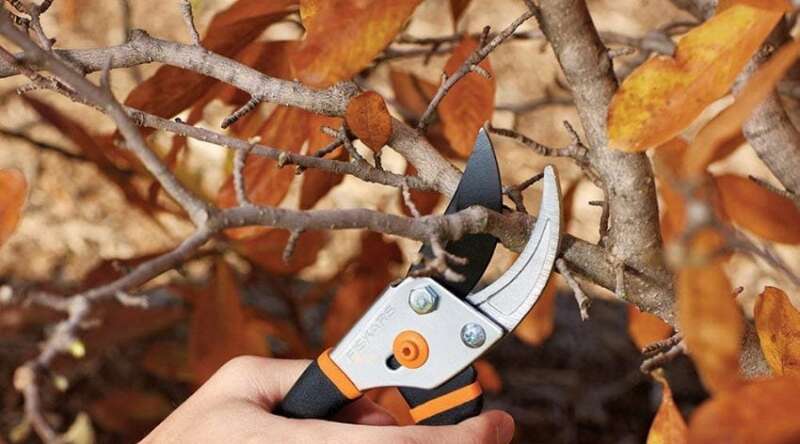 Keep in mind to have multiple tools for a maturing tree since simple hand pruners won’t be able to handle the larger branches, and you don’t want to damage the tree any further than the cut you will be making. Approach your tree with a plan, and remove obvious branches such as dead or broken areas before you cut anything live. Once you are comfortable with the branches you will cut, only take what is necessary and needed for your preferences. I hope you found this info helpful, and as always, we’d love to hear of your own success stories, comments, and questions below. Please share to help spread of a healthy fruit tree!